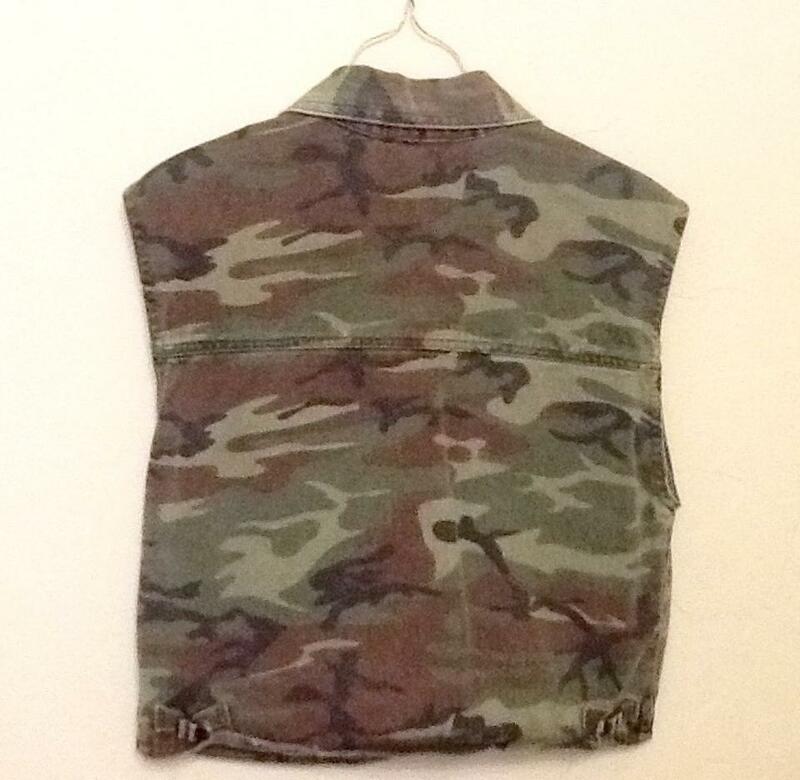 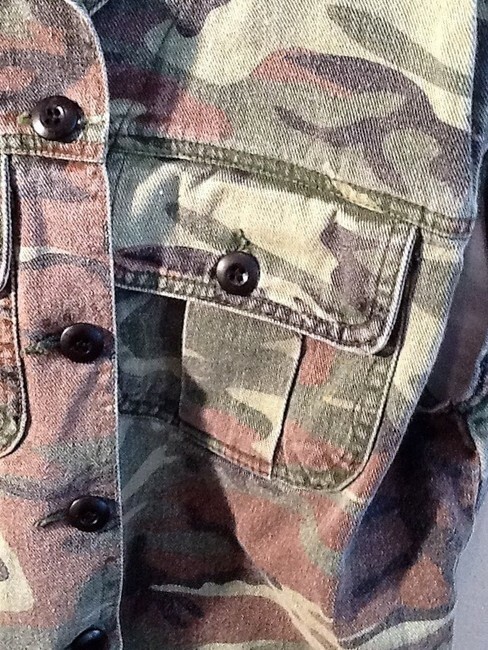 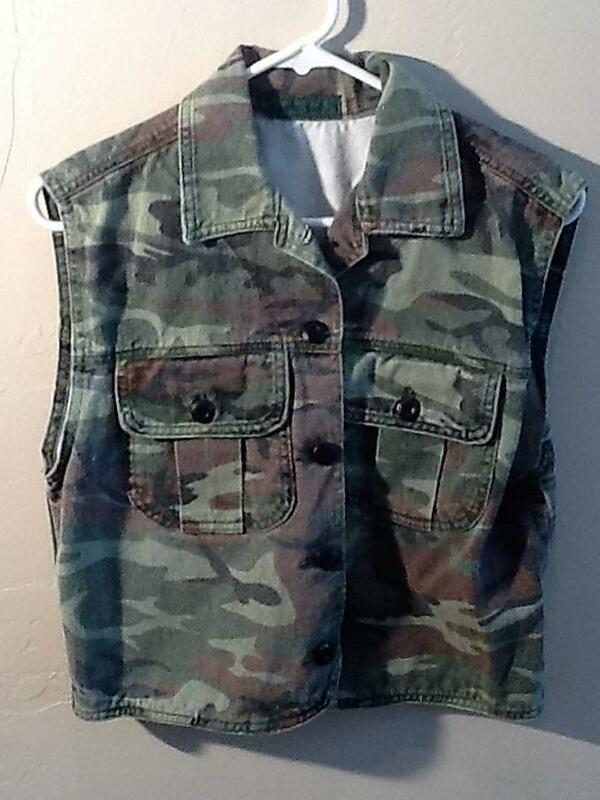 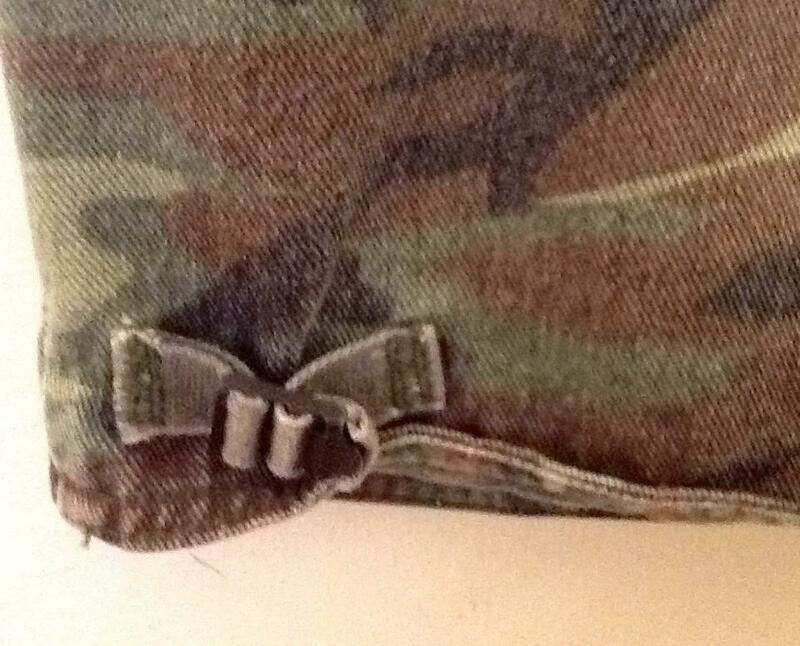 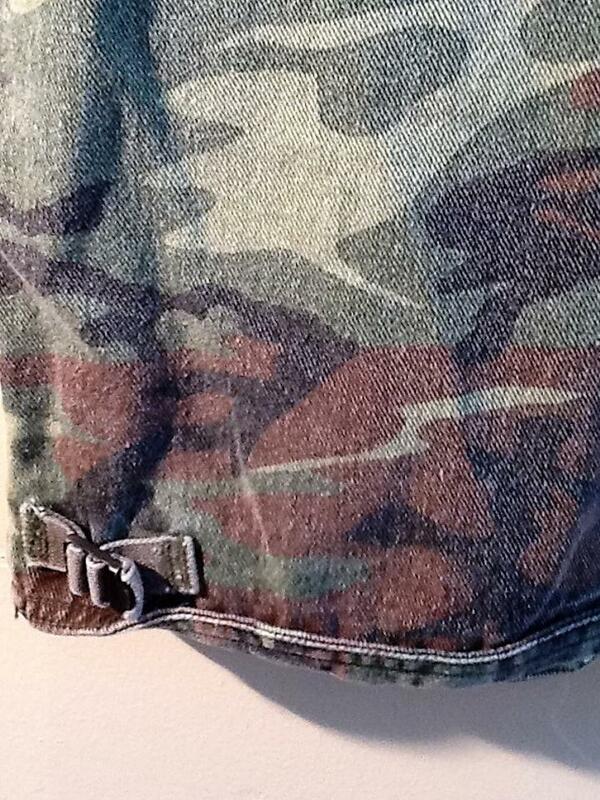 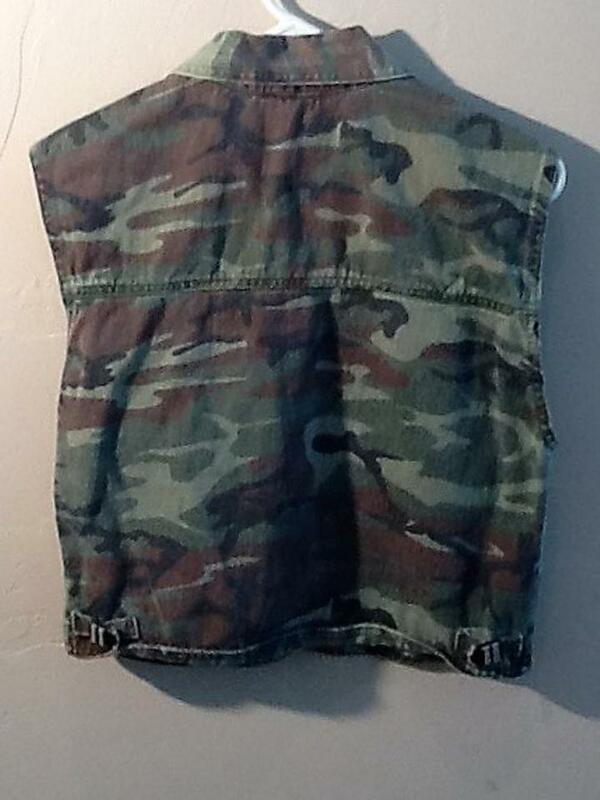 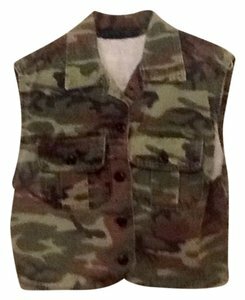 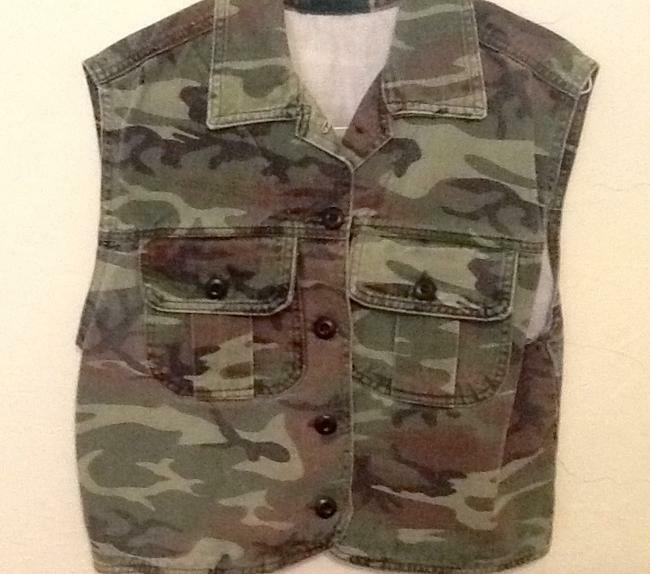 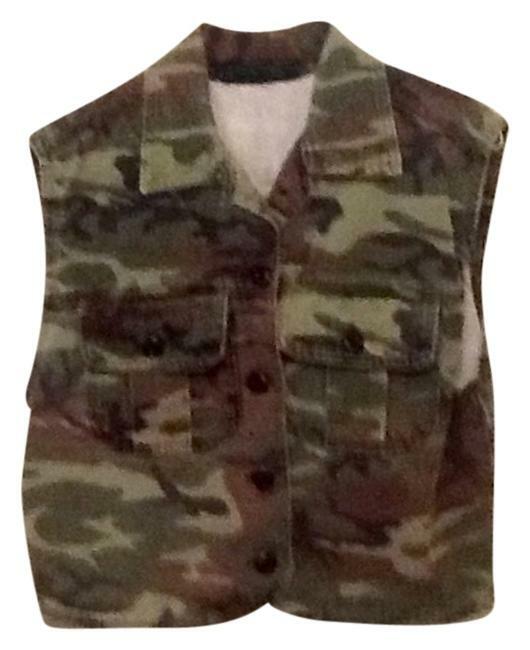 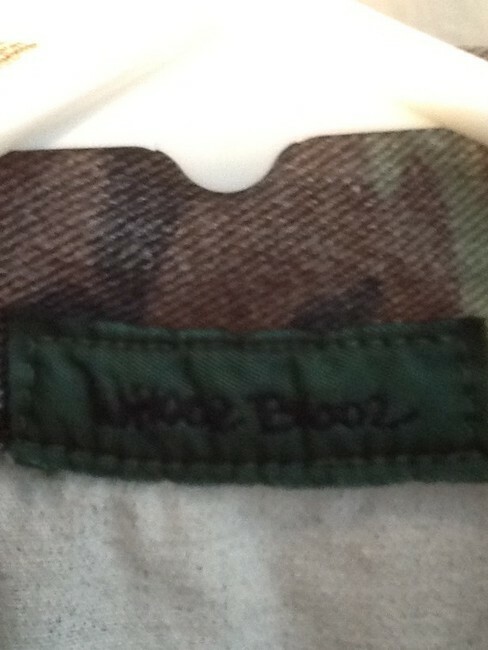 Camo vest with 2 flap front pockets and belt detail on sides. Fits medium 8/10. 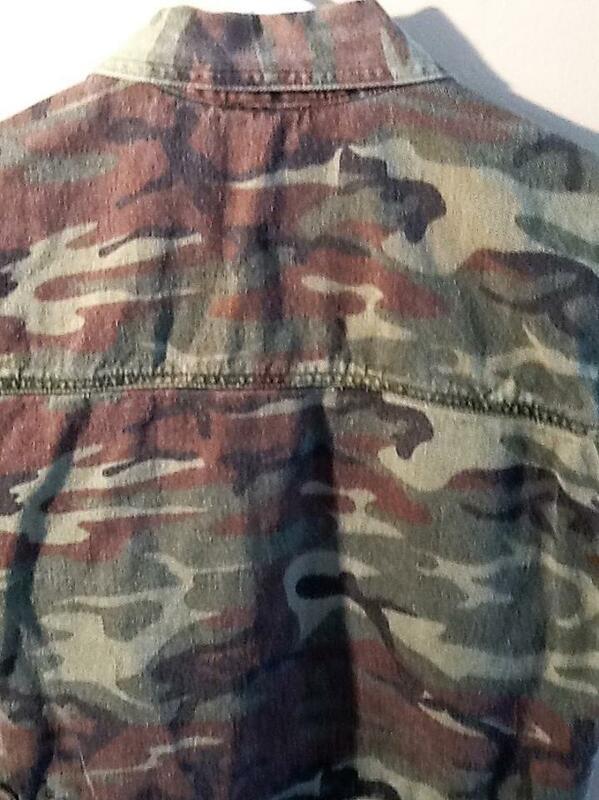 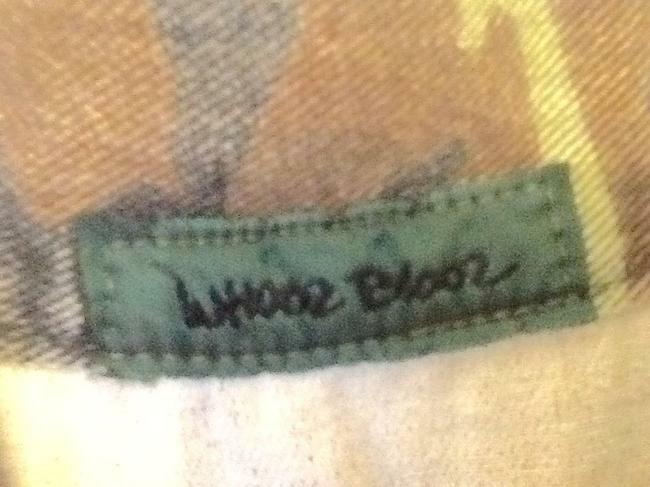 100% cotton, Machine wash/warm.